Walter Rauff, born in 1906 in Germany, rose through the Nazi military and party ranks in the lead-up to World War II and became responsible for the deaths of around 100,000 Jewish, Roma, and disabled people in Eastern Europe, North Africa and Italy between 1942 and 1945. 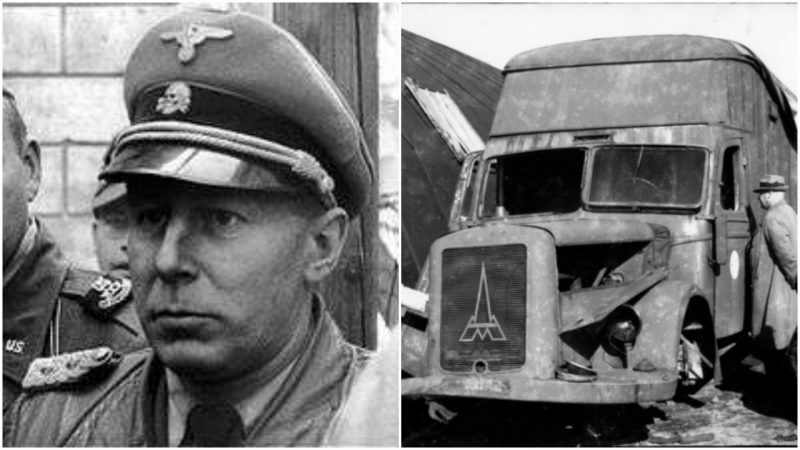 Rauff was a leading figure behind the Nazis’ use of mobile gas vans, which trapped Jews and “inferior” people inside and then used the fumes from the exhaust pipe to fill the back section of the van and poison the victims inside. Despite Rauff’s barbaric record, he was able to escape custody in Italy at the end of WWII and gain asylum in South America, eventually settling down in Chile. Despite numerous attempts by the Federal German Republic to get Rauff extradited to Germany to face charges, Chilean governments under the notorious General Augusto Pinochet and Salvador Allende refused the demands. Rauff was just one of many other leading Nazi figures such as the Auschwitz camp doctor Josef Mengele, who were unjustly able to live out their days in the backwaters of Latin America. Rauff began his military career in 1924 by enlisting in the German navy and soon gained promotion to sub-lieutenant. From 1930 to 1937, Rauff was a leading instructor at various mining schools for the navy, also serving a brief stint between 1934 and 1936 in charge of the 1st Minesweeping Flotilla. On December 31, 1937 Rauff changed institutions to work within the Schutzstaffel (SS) and moved to Berlin, gaining prominence within the Nazi political hierarchy. 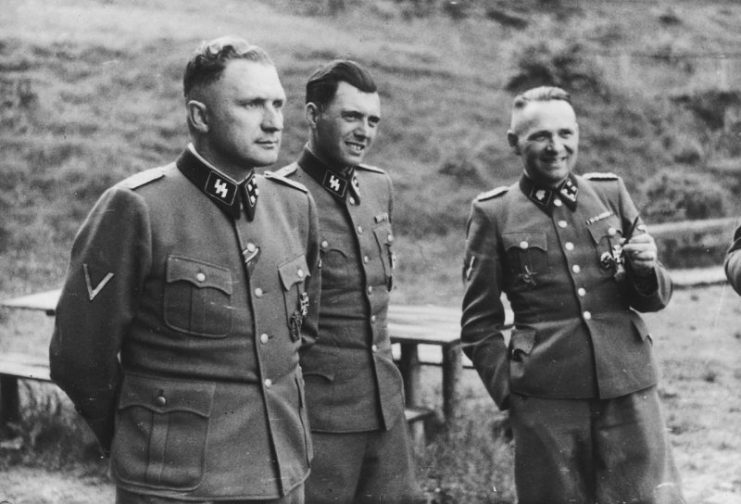 Prior to the outbreak of WWII in September 1939 Rauff, operating within the SS, was responsible for the mobilization preparations of the Sicherheitsdienst (SD), the intelligence agency of the Nazi party. It is hard to doubt that Rauff and his associates were then harboring the plans they would put into action once the war erupted. Following Hitler’s invasion of Poland, Rauff was in a suitable position to exert influence and implement ideas such as the adoption of the mobile gas chamber which would be used to exterminate predominantly Jewish but also Roma and disabled people. 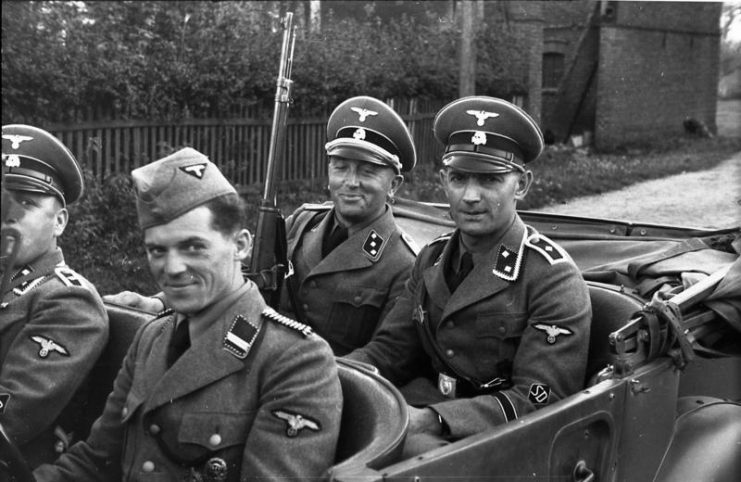 While Rauff and his fellow Nazis did not invent the mobile gas chambers or “gas vans” as they became commonly known—this feat can be attributed to the Soviet NKVD—they were adopted by the Nazis in 1940 as a more convenient way of murdering people once the Nazis’ plans for racial extermination were magnified by order of Heinrich Himmler. 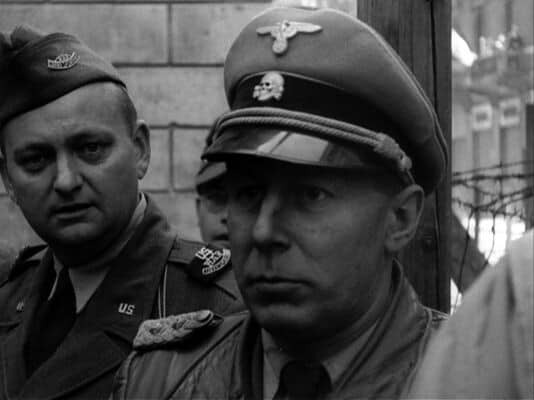 Following Rauff’s promotion within the SS, he oversaw numerous atrocities on the Eastern front against innocent civilians during Hitler’s escalation of the war through invading the Soviet Union in Operation Barbarossa. There are a swathe of captured Nazi documents from this era of the war which reference the prevalence of the “gas van” and its use to conveniently and more discreetly murder innocent people. 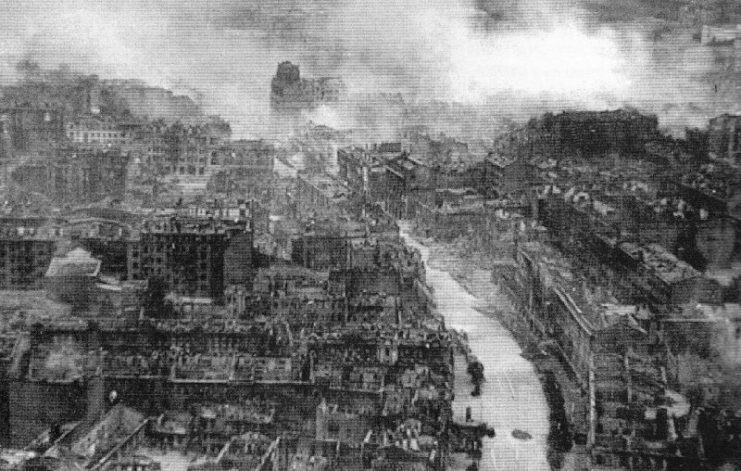 Kiev, as seen during World War II. As this method of extermination developed, Rauff was transferred to Tunisia with the SS in November 1942 and intensified the Nazis’ policy against Jewish people in the North African theater. In Rauff’s diary, for instance, he wrote about a proposal from a German diplomat to use the tens of thousands of Tunisian Jews as “human shields” against the oncoming Allied offensive. While Rauff disagreed with this measure, he did insist on the deportation of all Tunisian Jews over 18 years of age, numbering around 70,000 people, to labor camps. 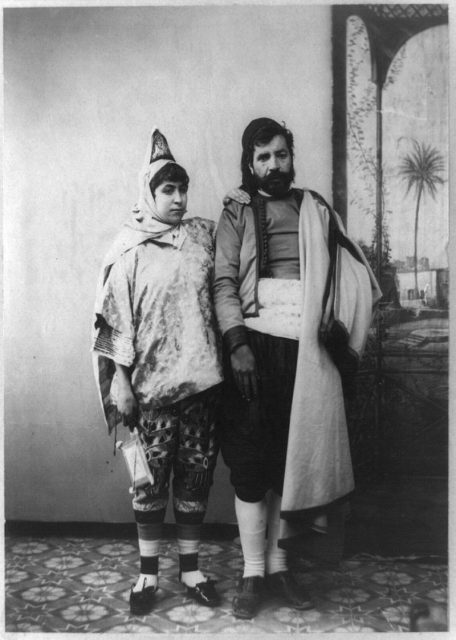 As Rauff fled North Africa before its capitulation to the Allies, he was stationed in Milan to assist Mussolini’s regime and implemented savage measures against the Jewish population within his jurisdiction. By the time of Germany’s collapse in 1945 and Rauff’s subsequent detainment by US forces in Milan on April 30, it is estimated that this former naval officer was responsible for the deaths of around 100,000 people, most of whom were Jewish. However, with the help of a bishop named Alois Hudal, Rauff was able to escape custody and the serving of justice. Following a one year stint in the Syrian intelligence department in Damascus in 1948, Rauff made his way to South America, joining a community of high-profile Nazi exiles such as the Auschwitz camp doctor Josef Mengele. Rauff eventually took up a managerial role in a cannery factory near the Chilean capital of Santiago in the 1950’s. 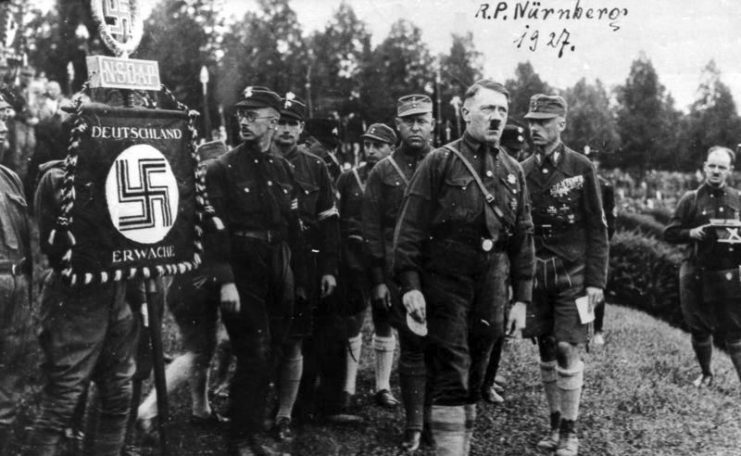 Despite the Federal German Republic’s knowledge of his and other Nazi members’ whereabouts, he was able to live in relative peace until 1984 when he died of a heart attack at age 77. While attempts were made at Rauff’s extradition to Germany, such as in 1962, the Chilean supreme court rejected the claims as according to Chilean statutes, Rauff’s offenses had been committed too long ago. Hence, Walter Rauff was able to live the rest of his days in freedom despite having been responsible for such destruction and savagery.